The UN’s special rapporteur on human rights in North Korea said that efforts to fundamentally improve the regime’s human rights environment may not be possible under its current leadership’s personality cult. In an interview with the Associated Press, Marzuki Darusman said that, while not advocating an invasion, a drastic change might nonetheless be necessary, particularly to help those trapped in the North’s political prison camps. 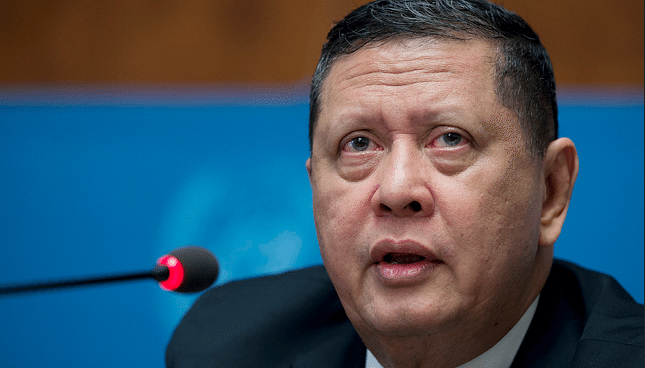 Darusman served on the UN Commission of Inquiry on Human Rights in the DPRK, headed by Judge Michael Kirby of Australia, that authored last year’s landmark report on North Korea’s human rights environment. In the aftermath of the report, the UN General Assembly voted in favor of referring the North to the International Criminal Court, and a measure on North Korean human rights is now before the UN Security Council. Darusman also told the AP that, prior to the General Assembly measure’s passage, North Korean diplomats attempting to remove the passage recommending ICC referral warned of “hardliners” in the North taking power. A number of individuals with experience dealing with North Korea disagreed with Darusman’s statement at least to some degree. Georgy Toloraya, who has worked as a diplomat in both Koreas, said that Darusman’s statement gives credence to North Korean arguments that human rights are another tool for undermining its system of governance. Moon Chung-in, who served as chief architect for North Korea policy under South Korea’s Roh Moo-hyun administration, agreed on the prioritization of freeing political prisoners in the South, but not the assumption that the North’s leadership had to be replaced. Even those who have been intensely critical of the North, and of past negotiations efforts with it, were not entirely supportive of Darusman’s statement. “He is probably right, but … it would be an error to foreclose even a slim chance of a negotiated release of those prisoners by demanding the dismantling of North Korea’s political system as a precondition, just as it would be an error to grasp at any deal Pyongyang would give us,” said Joshua Stanton of the One Free Korea blog. “Instead, we should build our diplomatic leverage through financial, diplomatic and political pressure on Pyongyang, including information operations that attack this cult in the eyes of the North Korean people. Subscribe to read the remaining 726 words of this article.